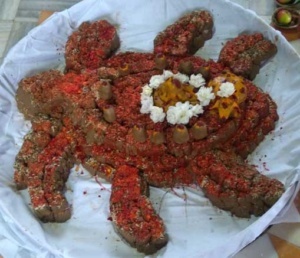 Shivarchan (Parthiv Pooja) is celebrated all over India during the month of Shravan (July- August). 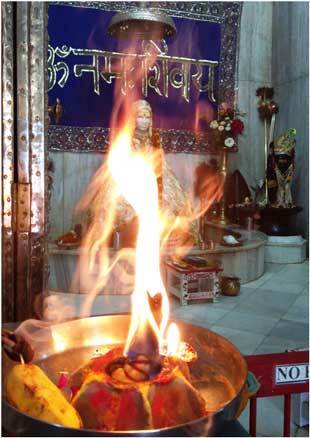 Shivarchan is a prayer offered to Lord Shiva by devotees to fulfil their wishes. To please Lord Shiva water, milk, dahi (yogurt), ghee, honey and sugar are offered to the Shiv Lingam while chanting prayers for the abhishekam to Lord Shiva are chanted. In the Kumaon hills of Uttarakhand, clay created by white termite ants, is supposed to be the best for making the Shiv Lingams. The number of Shiv Lingams prepared for pooja out of this clay is anything from 108, 1008, 1100, 2100 and so on up to 1.25 Lakhs, depending upon the capacity of the devotee and level of celebration. Pooja can be offered at home by any individual or collectively at any selected place like Siva temple etc. 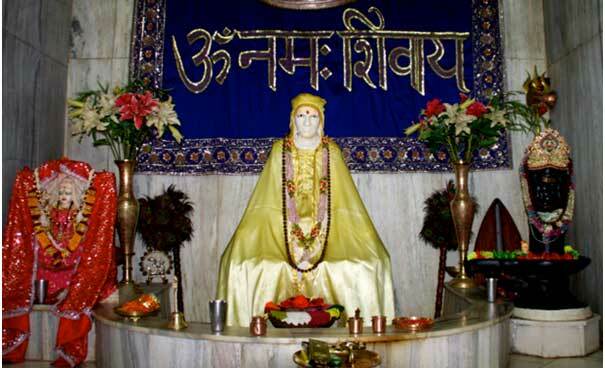 Shree 1008 Haidakhan Baba had started the tradition of celebrating Shivarchan at Haidakhan Vishva Maha Dham in 1974, and Muniraj ji began celebrating it at Anand Puri Ashram, Chilianaula in 1998. 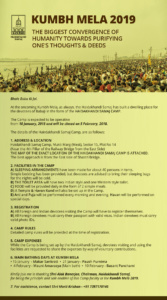 This has become an annual feature and many devotees participate. It starts one week before Raksha Bandhan festival and ends on the day of Raksha Bandhan. Last year Shivarchan was celebrated at Haidakhan Vishva Mahadham from 27 July to 07 August 2017 and at Chilianaula from 1 Aug to 7 Aug 2017. 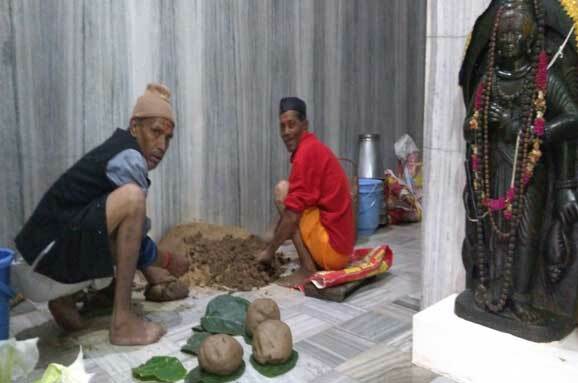 1.25 Lakhs Shiv Lingams were prepared at both the Ashrams. On an average 21,000 Lingams were made every day ! The final Shivarchan held on 7th August was sponsored by Mr & Mrs Ashok & Meena Chandra, Delhi. 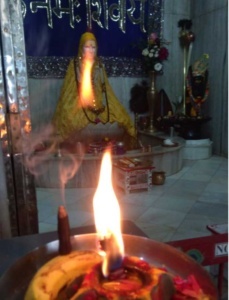 A fire ceremony was held at the Yagna Shala (at Muniraj’s Kutir) and 12,500 offerings were given to Lord Shiva while the gathering chanted Om Namah Shivay. Similarly other lords and deities were also given offerings. Due to a lunar eclipse all events including the bhandara were over by 1pm on the final day. The bhandara on the final day was enjoyed by over 200 people. The festival of Raksha Bandhan was celebrated and the temple was then closed for the rest of the day and no aarti was held in the evening. The clay Shiv Lingams were arranged in different forms as per the symbol of the day. Above is a photo of the form for Sunday 6th August – The Sun. Conclusion All the devotees worked very hard to make the occasion very successful by putting in their whole-hearted effort. Everyone is blessed who attends Shivarchan Parthiv Pooja and many unknowingly receive divine grace from Shree Maha Prabhuji on their total surrender. Many come as a routine to do their duties and are blessed in a way that is realised at a later date. Those who remember Shree Maha Prabhuji all the time are the ones who live with Babaji all the time. Chant Aum Namah Shivay all the time. 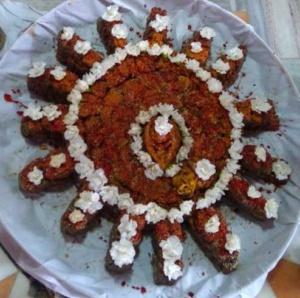 This entry was posted in CELEBRATION, CHILIANAULA, HAIDAKHANDI SAMAJ, INDIA, INDIAN ASHRAMS and tagged Chilianaula, Parthiv Pooja. Bookmark the permalink.